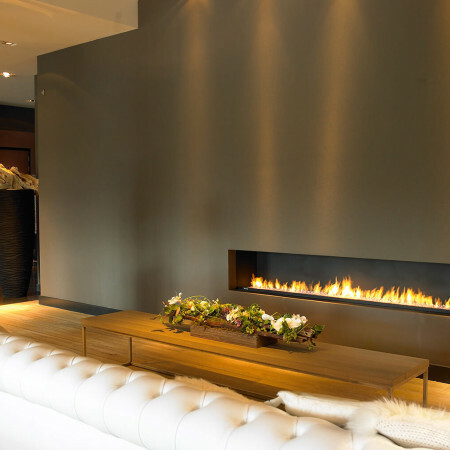 A visually stunning 2m wide, modern, designer fireplace. The extra long flame dramatically spans the fire opening and with the burner made from one single dancing flame burner, the flames twinkle mesmerisingly. The single line of flame is simple yet dramatic and is really brought to life in the dim light of evening. This modern fireplace is fully remote control operated meaning at the push of the a button you can adjust the flame level and ignite/extinguish the flames. The brass side panels give a very designer and luxury finish to the fireplace and the curved brass cheeks either side of the fire opening offer an alternative to a more angular finish. These are bespoke, decorative panels that equally be from all kind of different materials and colours but provide an elegant, seamless finish to this modern gas fire. 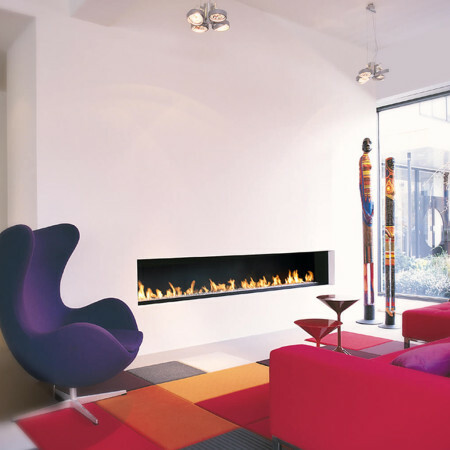 This modern fireplace is available in different sizes depending on the space in question. 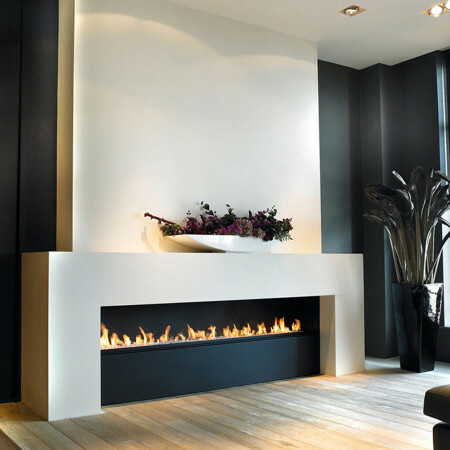 Speak to a Design Consultant to see how this fireplace can be brought into your interior scheme.